For most marketers, the arrival of the new year means you’ll be taking a fresh look at your strategy: Are you getting the most out of your budget? Are you reaching your audience in the right ways (and in the right places)? If you’re currently focused on hitting your 2017 goals, one great way to prepare for the year ahead is to take a moment to look back. 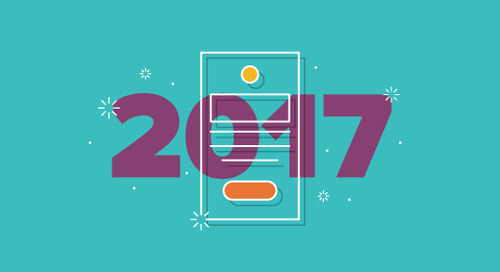 Here are some of the most impactful industry stats we saw in 2016 – learn from them, use them to inform your marketing strategy, and have your best year of email yet! With each passing year, our industry continues to move faster than ever before. Some things – like making sure you always provide value to your audience – may stay the same, and not every shiny new business tool may work for your brand, but stay up to date on industry trends to ensure you don't get left behind. Let's get real for a second: At this point, if you aren’t designing your emails with mobile in mind, you’re WAY behind. 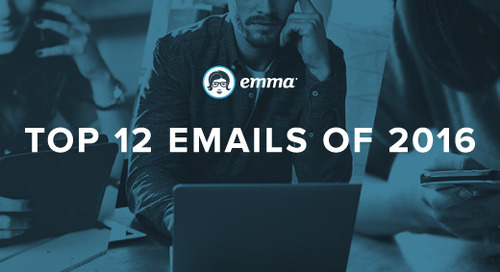 With more than half of all emails now read on a smartphone or tablet, it’s an absolute must to ensure your hard work doesn't immediately get deleted. Despite proclamations throughout the years that “email is dead,” it’s stuck around as a marketing channel because it truly works. Big time.That’s a great thing for your brand, because email continues to produce the highest ROI of any digital channel. However, all that potential means you have to stay on top of your game if you’re going to beat out the competition in the inbox. Your audience expects relevant emails exactly when they want them... not when you decide to press “send.” Enter automation. It’s the easiest way to send timely, targeted messaging to your audience, and it produces incredible results. While date-based automation (for things like birthday and anniversary emails) is a great start, you’ll get the most bang for your email marketing buck by automating off of your subscribers’ behavior – both inside and outside the inbox. Deliver product recommendations based on browsing history on your website, thank customers for an in-store purchase… you name it! It's extra relevant and extra effective. Email doesn’t have to exist in a vacuum, nor does it have to compete with things like social or SMS. Combine it with your other channels to create multiple touch points with your audience and get the biggest results possible. 5-20%: Probability of selling to a new prospect. List growth and drawing in new prospects are important, it’s true... but don’t let those efforts overshadow your existing customers. Build customer loyalty by continually nurturing your current email subscribers with valuable content, VIP offers, and first-look access to anything new you might be offering. What marketing stats did you bookmark from 2016? Any big plans for your strategy 2017? Share away in the comments!